I am continually astounded at the female casting in the revival of “Doctor Who.” Working on getting caught up on all the 10th Doctor (David Tennant) episodes, I watched “The Doctor’s Daughter” tonight, and yet again, they have brought in another brilliant female talent. 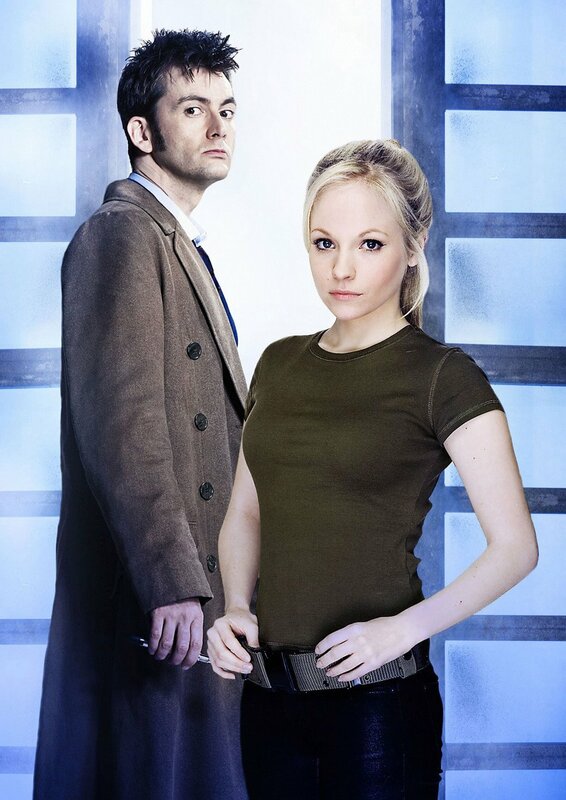 While the character of Martha Jones is still my favorite, I have a new favorite as well – the Doctor’s daughter, Jennie. She is portrayed by Georgia Moffett, the real-life daughter of the actor who played the fifth doctor, Peter Davison. The entire origin episode revolves around new life and regenerating something that is dead. We see The Doctor’s struggle with death in light of his own immortality. They introduced her as a Time Lord without any of the Time Lord baggage. The result is that she wants to be a hero. You really don’t know where she is going or what she is thinking. She is an anomaly in the midst of all of The Doctor’s own anomalies. In short, the idea is absolutely brilliant! (And I’m not saying that because Georgia is a delightful looking girl, which she is.) It gives us a chance to see a different direction for The Doctor as he nears his final regeneration. You see, Time Lords can only regenerate twelve times and when the 11th Doctor makes his debut in the 2009 Christmas Special, he will have only two regenerations left. Could Jennie, who has already regenerated once, be trained by the Doctor? Could she be the 11th Doctor’s companion? After all, the actor portraying the 11th Doctor (Matt Smith) is only two years older than Jennie. Would make for an interesting dynamic, wouldn’t it? And since she appears to have spontaneously regenerated due to the influence of a terra-forming device and maintained her physical appearance, could she be something entirely new? A type of Time Lord we have never seen before? Jennie’s presence could practically reinvent Doctor Who if the writers have the guts to really let the story move. It makes me eagerly anticipate the new season and for the first time, I’m looking forward to seeing Matt Smith take on the role. I’ve just started season 3 of the new Dr. Who, and share your enthusiasm. One of my favorite new episodes brought back Sarah Jane Smith and K9. Such fun. I’ve also enjoyed watching Rose grow up–she starts out as quite a git … by her last episode she is working and fighting alongside the Doctor, operating the TARDIS controls, role-playing and improvising as they solve mysteries–she has become a vital part of the team. Wouldn’t Jenny be a Time Lady, rather than a Time Lord? They joke about that actually. Donna asks the Doctor, “What do you call a female Time Lord? Is there a name for that?” And the Doctor turns away. I don’t think there ARE female Time Lords. That’s another beautiful thing about Jenny. Romana (Romanadvoratrelundar) was a female Time Lord. I still haven’t gotten to Jennie, but Martha (Freema Agyeman) is a *babe*.